I had the opportunity to entertain my grandparents this afternoon for the first time. I was excited to plan some great things to eat and everything turned out just wonderful. As a result, my next few posts will be pieces of that meal, and I figured what better place to start than with an appetizer! 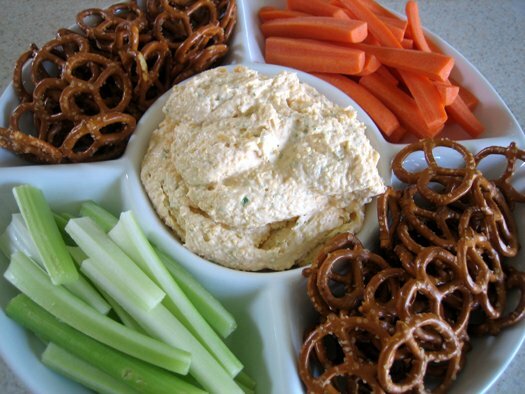 This cheese spread has a fabulous tangy flavor, thanks to a small amount of dijon mustard and beer. The recipe calls for an ale, and I think you could really use just about anything so long as it’s not a light beer; I used one of my new favorites – Blue Moon. I processed this pretty well in the food processor, but you could easily choose to pulse it for a chunkier consistency if you would prefer. 1. 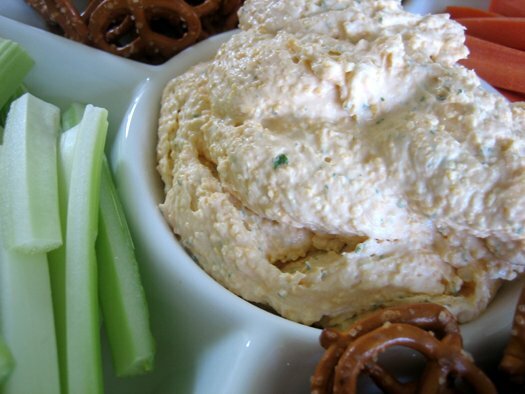 Combine the cream cheese, mustard, cheddar cheese, cream, and salt in a food processor. Process for 30 seconds, add the beer, and continue processing until very smooth. Pulse in the parsley until just dispersed. Note: This can be stored in the refrigerator for up to 4 days. You will want to take it out an hour before serving if you do refrigerate.